After many weeks of writing, editing and photography. the new book is complete and published. 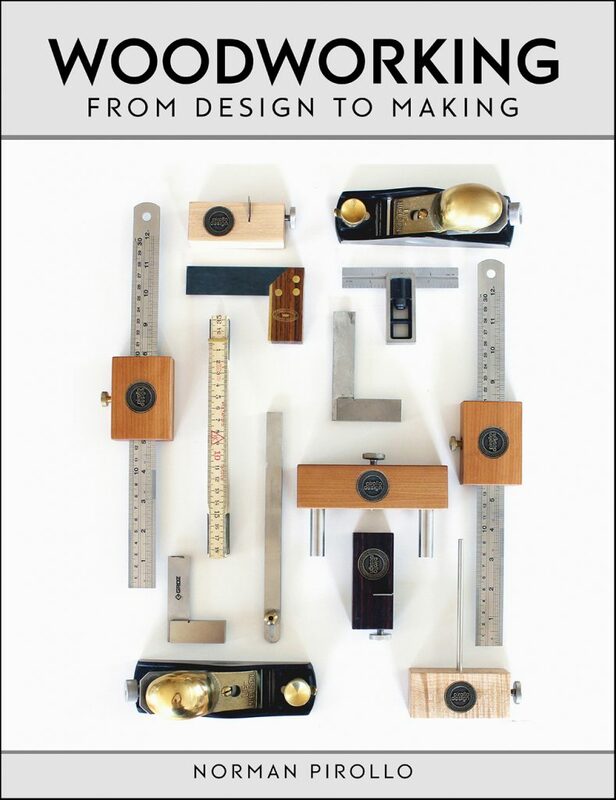 The premise for this new book is to provide insight into the craft of woodworking and more specifically the making of furniture. The book is composed of sections, each of which is critical to your woodworking journey. Acquiring a well-rounded knowledge of woodworking can be accomplished through vocational schools and part-time studies. Looking back at the decades of involvement in this craft, I often ask myself if I would have done anything differently. The answer is almost always no. So much has changed since I began woodworking in the mid 1980’s. It is difficult to compare resources available today to what was available then. Learning is more convenient today. Although home computers existed then, the Internet connectivity we enjoy today had not been established. Acquiring skills and knowledge in the last century involved taking classes, reading books or mentoring with a knowledgeable woodworker. Today, there is a wealth of knowledge available through the Internet. What is lacking however, is the hands on aspect of the craft of woodworking. Learning involves making. I know of no one that learned a craft by simply reading and not applying themselves. It is critical to embrace the often lengthy learning curve involved. The book includes articles focusing on aspects of woodworking in a contemporary world. The book is composed of four sections. Each section contains articles that a woodworker or furniture maker will need to embrace as they evolve. The first section introduces basic woodworking skills. A large part of this book is devoted to hand tool skills. Although machines are combined with hand tools in my furniture making, I advocate that woodworkers should embrace hand tools. It is necessary to form a connection between hand and wood medium prior to seeking efficiency and a production mindset. Hand tools often get a bad rap as being slow and tedious. Instead, what hand tools offer is control, dexterity, quiet and a close connection to the wood medium. In a one person furniture making studio, hand tools offer a healthy balance to the use of machines. The second or furniture maker section provides a glimpse into furniture making as a vocation. Woodworkers often aspire to become furniture makers or go into business for themselves. As a furniture maker for several decades, I share knowledge and insight acquired over the years. Some articles will inspire you to take the leap and become a full time furniture maker. Topics in the section include setting up shop, the furniture maker journey, the furniture maker lifestyle, social media and insight into diverging from furniture making to other forms of woodworking. The third section is devoted to furniture design. Furniture design forms a large part of woodworking. Often, it is necessary to design a complete piece of furniture or modify an existing design. The design process has evolved over past decades with the advent of computer software (CAD). Pencil and paper are now combined with CAD. Articles include how to create and refine a design, the concept of form & function and how it applies to furniture. The fourth or advanced woodworking section delves into techniques to further your woodworking and furniture making. Veneering techniques, both manual and vacuum veneering are described. The process of creating a jewelry box is discussed in one article. The Japanese art of Kumiko is described in a final article. Available in the Books section or through Amazon. This entry was posted in Blog by Norman Pirollo. Bookmark the permalink.